Diverse experiences create our campus community. Interacting with and learning from others with different backgrounds from our own makes it possible for everyone on campus to grow, for empathy to be nurtured, and a better campus-wide dialogue to be reached. For Selena C-Payne, a junior, being a part of the SU campus culture goes beyond the surface of classes and clubs. 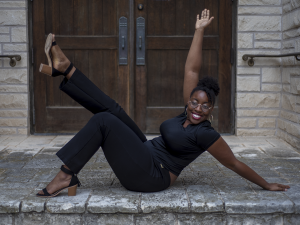 Since her enrollment in the fall of ‘16 Selena is fighting the good fight, making meaningful connections with mentors, and inspiring those around her. Selena did not think college was in her future when she was in high school so–while working and helping out with her younger siblings–she was president and a member of multiple clubs and organizations. The transition from high school to college is just a continuation of the pressure of juggling everything, Selena explained, though now there is the added stress of student debt and living independently. Selena’s grandparents raised her, and they continue to support her: her grandfather keeps her motivated to work hard, and her grandmother reminds her of her personal emotional and spiritual responsibilities. Even so, Selena could not go to them in regards to the issues concerning personal relationships, social situations, or even mental health. She kept so much of her struggles to herself, and even to this day, she wonders how she got through it all. The lack of diversity at SU initially shocked Selena. 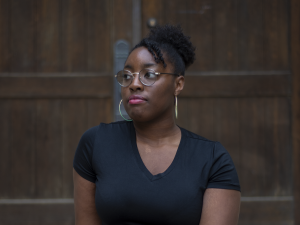 On top of the transition into a predominately white institution (PWI) and being a first-generation college student, Selena’s dormitory roommate, she said, was extremely prejudice and racist. Other students and faculty were friendly and sociable, but there wasn’t anyone on campus she could fully trust to turn to. It wasn’t until the spring semester of Selena’s freshmen year did she find people she could fully confide in. A Southwestern alumn came to speak in one of her classes and they instantly connected. 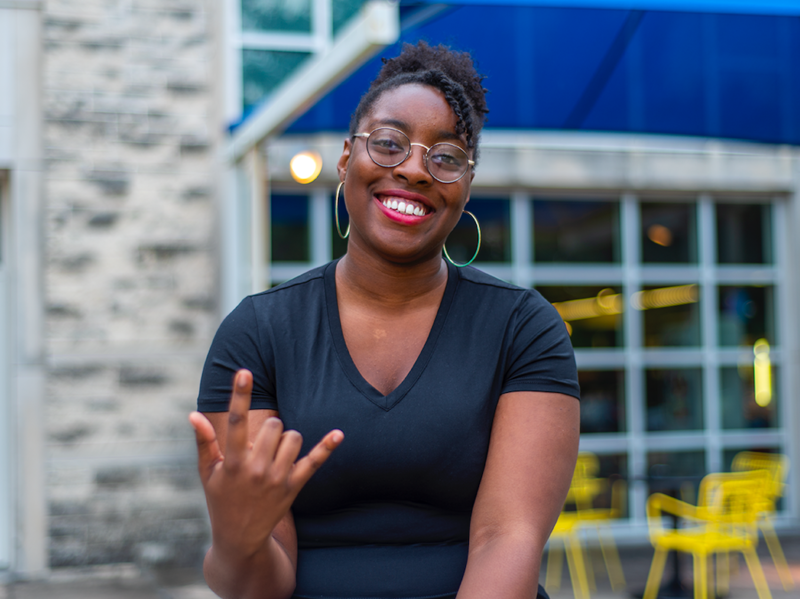 This alumn introduced Selena to upperclassmen students who were involved in on-campus organizations, and through extracurricular involvement, Selena finally felt like she had a place here at SU. The attitudes, actions, and behaviors of SU students and faculty experienced by Selena since her “miserable” freshman year proves that Southwestern is not as accepting of diversity as it advertises. So when she meets someone who is black or brown, she makes an effort to learn their name and make them feel welcomed. Though Selena also knows that she can’t save the world regardless of how hard and consistently she works. After Southwestern, Selena is hoping to go to law school. She plans on continuing to help others, especially youth of color. Selena is putting herself through higher education all on her own and so being involved on campus is a way for her to show graduate schools all she is capable of handling. It’s exhausting, and she admits to always being stressed out and not having a single day off, but she has a plan, and she is fabulously executing it. It is essential for Selena to enjoy what she can, like spending time with her boyfriend and styling her hair in various ways. She embraces being black in a PWI, and she is an inspiration to everyone. Selena’s experiences show us that belonging to a community is more than just titles and roles, but a journey with others and journey within one’s self.